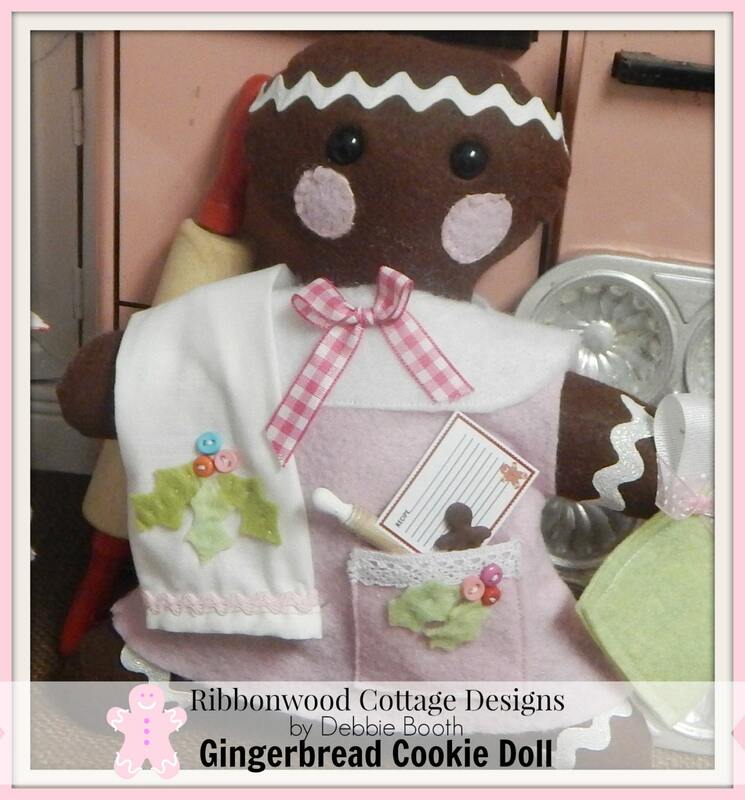 This darling little Gingerbread Cookie doll is so sweet. Simple to make using felt. Front and back of the doll are sewn together and cheeks and eyes added. The doll goes together quickly. Same with the little felt dress. I've added a few fun things to this pattern. Printable recipe cards at the end of the pattern so they can be printed off on card stock, trimmed down and put into the little pocket. So sweet. 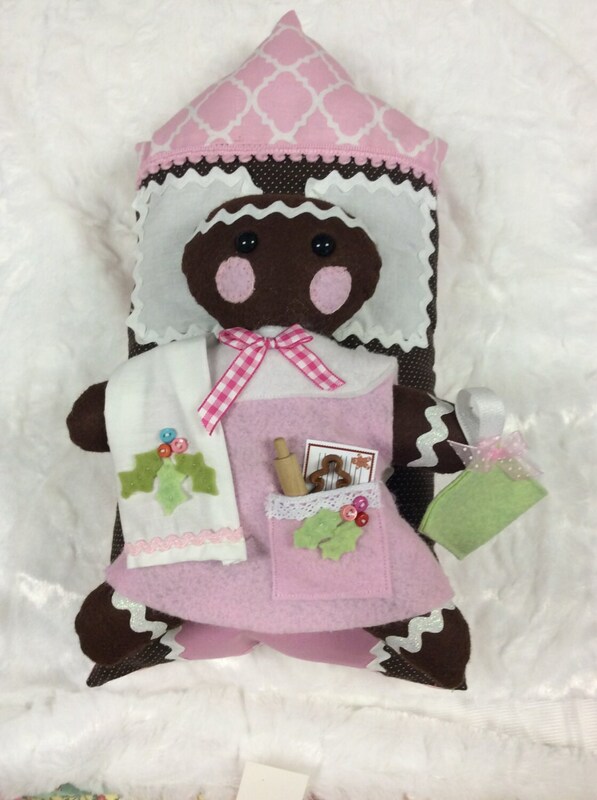 There are directions for making hot pads, kitchen towels, little polymer cookies and a baking scene to go with this sweet doll. Even though the doll has been made using pastel shades of felt, it can go vintage and red and white and traditional colors can be used for the clothing and accessories. The doll can be used over and over again and hugged and worn out! When using wool felt, these dolls make a very lasting doll to play with. The clothing is simple too. The felt doesn't need to be hemmed either which makes this a quick fun craft. Be sure to see all my gingerbread accessories and patterns that I am coming out with. All my patterns are simple and great for a beginner seamstress or a moderate seamstress. I love little felt dolls and love making different little dresses for them. 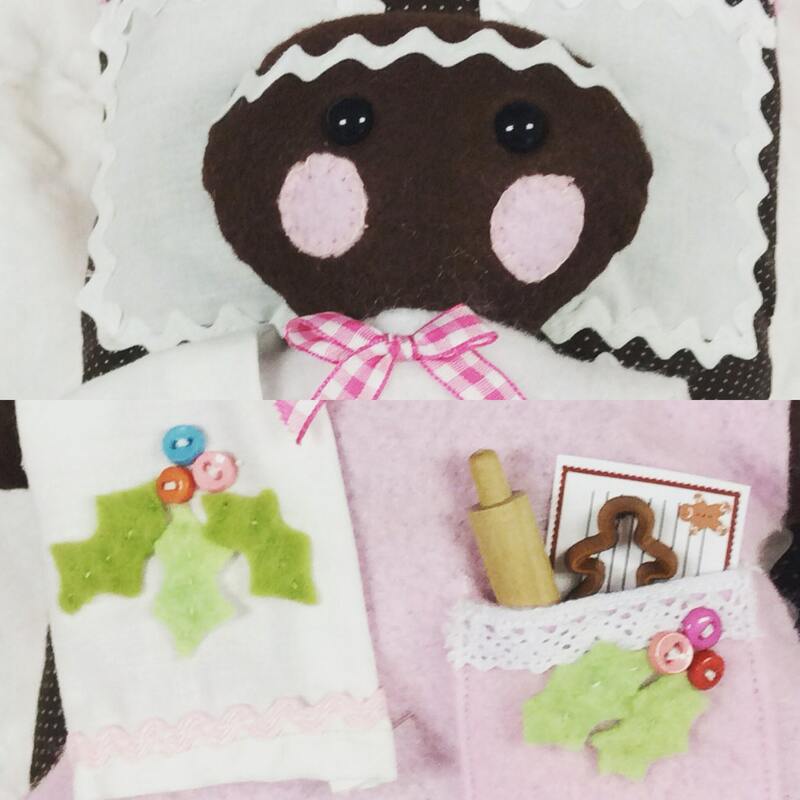 This doll and her accessories are geared towards lots of cookie baking. I share many ideas how to set up a cute baking scene too. 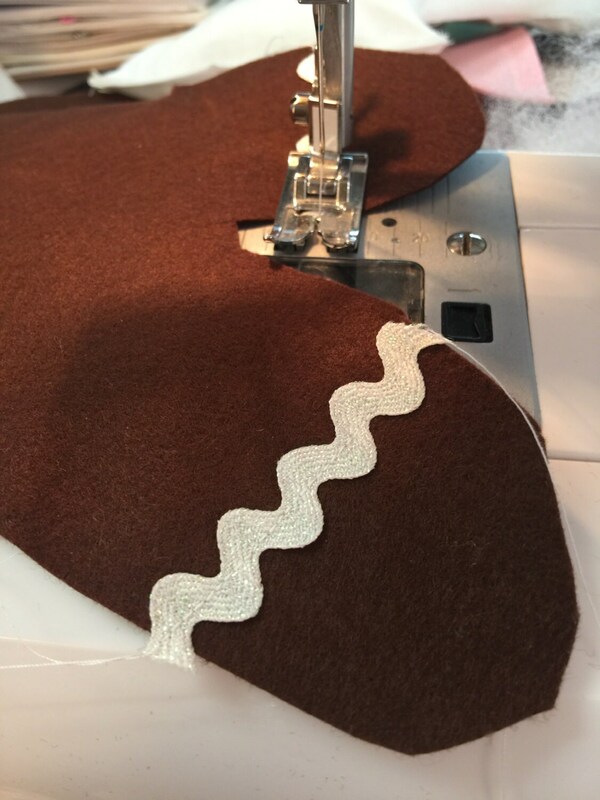 Doll is approximately 10 1/2" tall when sewn and completed. Pattern will be downloaded once payment and transaction are completed. Links to the files will be given to you upon payment. You are not receiving anything physical in the mail, nor are you receiving this doll or clothes.